The Versatile Cooktop on this 30-inch Amana Electric Range gives you multiple element options to help satisfy your cravings. And with 4.8 cu. ft. Capacity, you can make even more of your favorites at the same time. 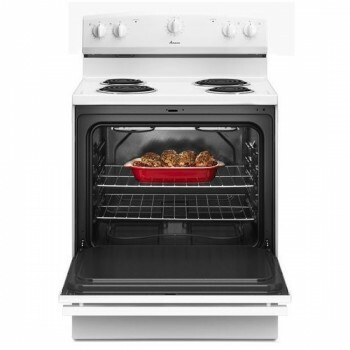 Plus, the raised edges of the SpillSaver Upswept Cooktop keeps messes contained for easy cleanup.